China is a country with multiple theatrical activities spread over its large area. 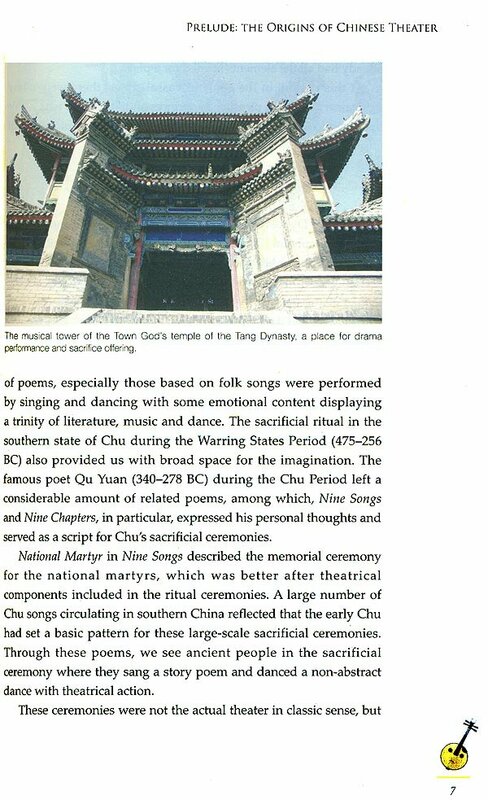 Chinese traditional opera, an integration of singing and performance, is the most common, unique and representative form of Chinese theater, Over more than 800 year, it has maintained its basic form. 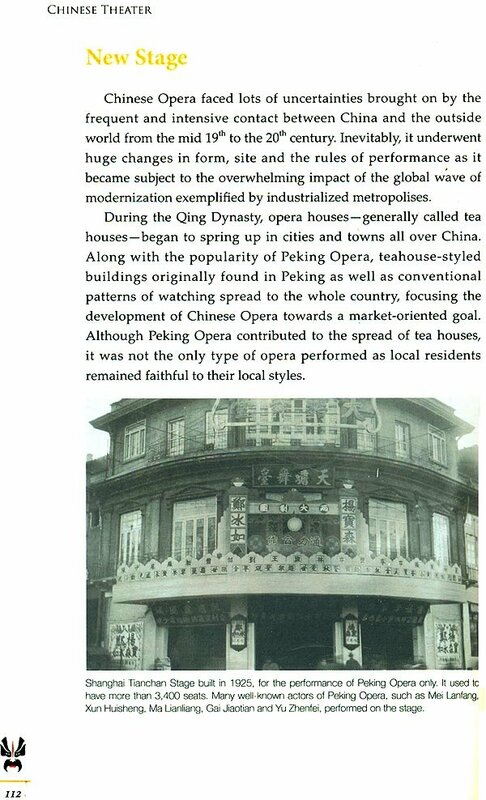 In the beginning of the 20th century, subject to the impact of the West, the modern drama without singing appeared in China. The development and prosperity of modern dram has added a new landscape for Chinese theater, which, as a whole, has become more diversified. 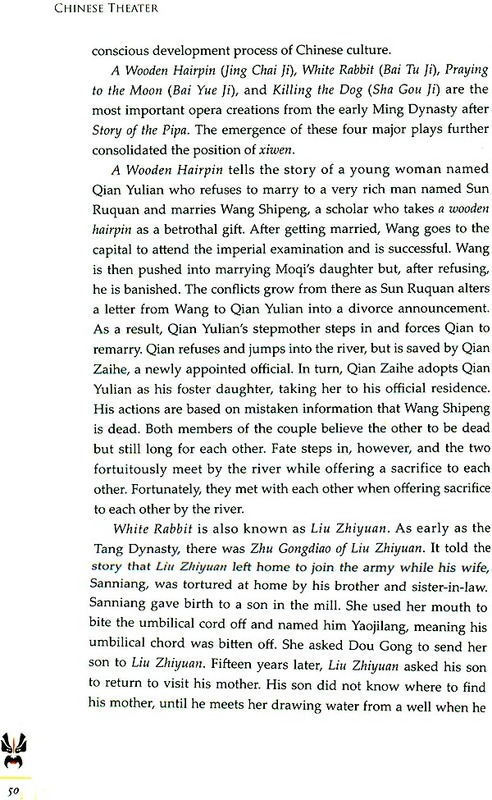 Fu Jin born in Quzhou, Zhejiang Province in 1956. Doctor of Literature, professor of the National Academy of Chinese Theater Arts, pluralistic researcher of Institute of Chinese intangible cultural Heritage, sun Yat-sen University, advisor for Ph. D. Candidate of China Art Academy. His academic works include The Modernization and Localization of Chinese Theater, Introduction to Chinese Theater in the 20th Century, History of Chinese Theater, Treatise on Art of Chinese Theater, etc. 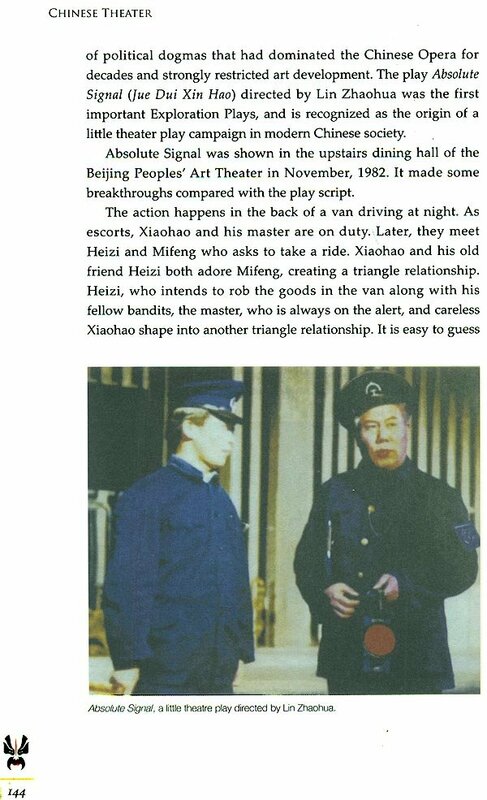 China is a country with multiple theatrical activities spread over its vast area. Currently, Chinese traditional opera (xiqu) an integration of singing and performance, is the most common, unique and representative form of Chinese theater. 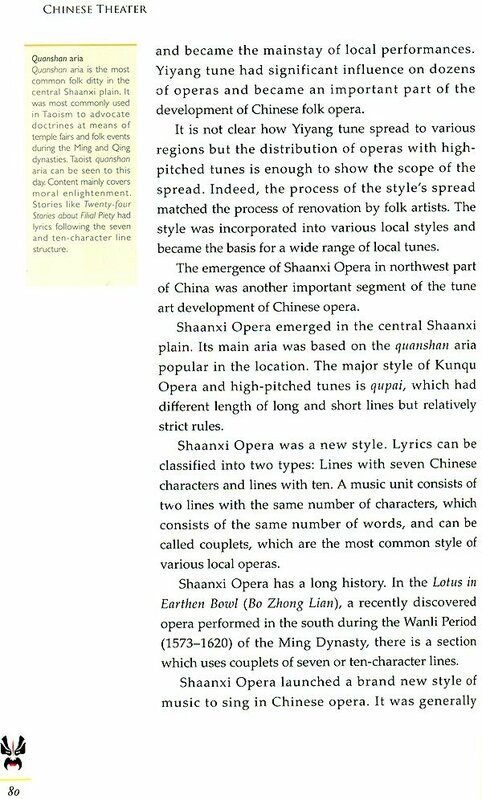 Chinese traditional opera originated in the 12th century. Compared with ancient Greek and Indian Sanskrit drama, it was born rather late but with more exuberant vitality. Over more than 800 years, Chinese traditional opera has maintained its basic form, therefore, among the existing types of drama, Chinese traditional opera may have the longest history. 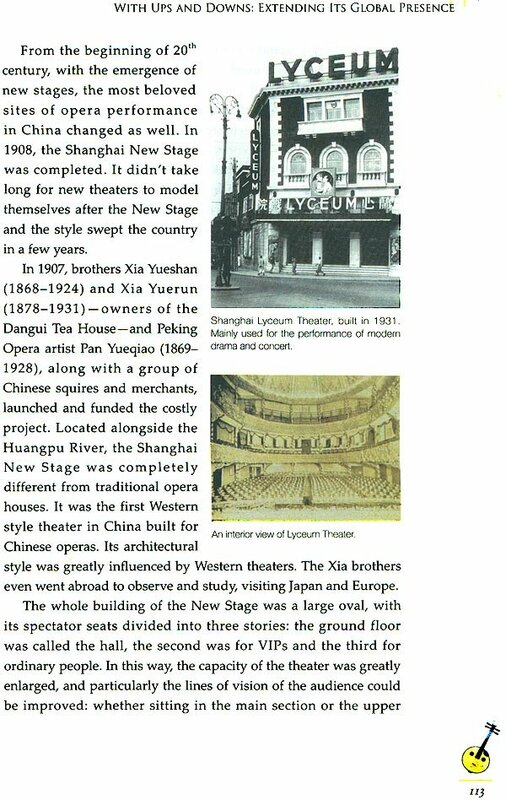 Rich in history and charm in artistic expression, traditional opera is deeply loved by ancient Chinese people. 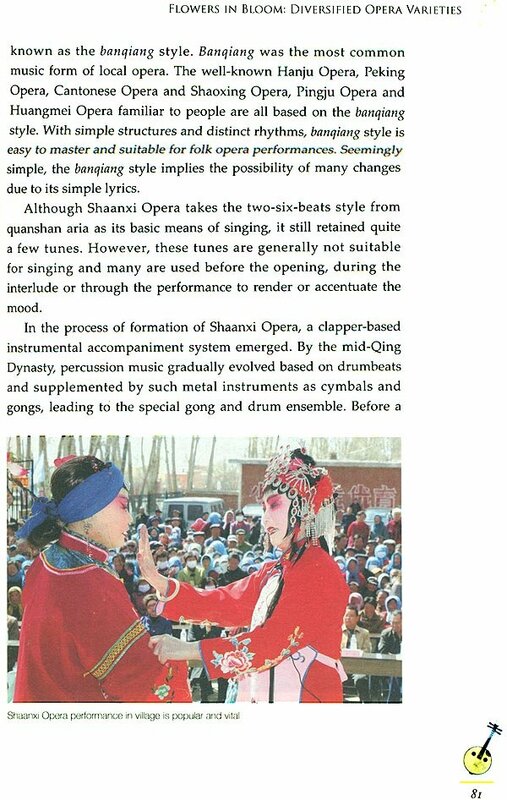 A formula is extensively used in Chinese traditional opera performances, with a special music metric and regulated singing. The speaking of dramatic characters requires compliance with the rhythm of the poetry and in military opera, pattern of martial arts is used to demonstrate fighting scene. Singing, speaking, acting and acrobatic fighting are four basic types of performance measures in Chinese traditional opera. These types of performance are based on the virtual principle. (Going upstairs, for example, in which the actors make physical response by lifting clothes and legs, switching across windows on the stage. Another example, snapping a whip means riding a horse while paddling means sailing.) On the basis of realistic deformation and refinement, every move the actors make on stage, a smile or even a frown, can be rich in meaning, with a strong narrative nature, vividly reflecting the inner emotions of the character. 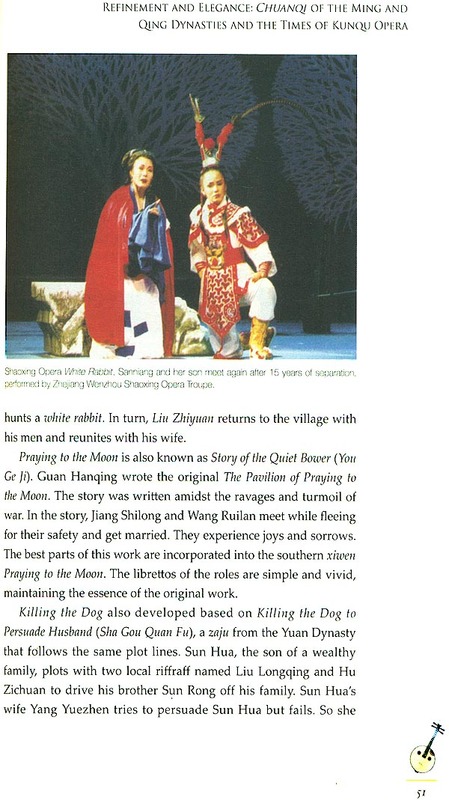 Extensive use of music reinforces the lyrical feature of the theater, which gives a special advantage to the Chinese traditional opera in dealing with the delicate psychological activity in complex situations facing the characters. In the overall structure, the main characters are commonly assigned to most singing work, especially in the core scenes , where changes in rhythm and emotion leave the deepest impression on the audience. Excellent actors are often quite popular for their singing ability and their unique means of expression and strong voices. Different theatrical genres are, therefore, formed according to the actors’ characteristic vocal expressions and stage performance. 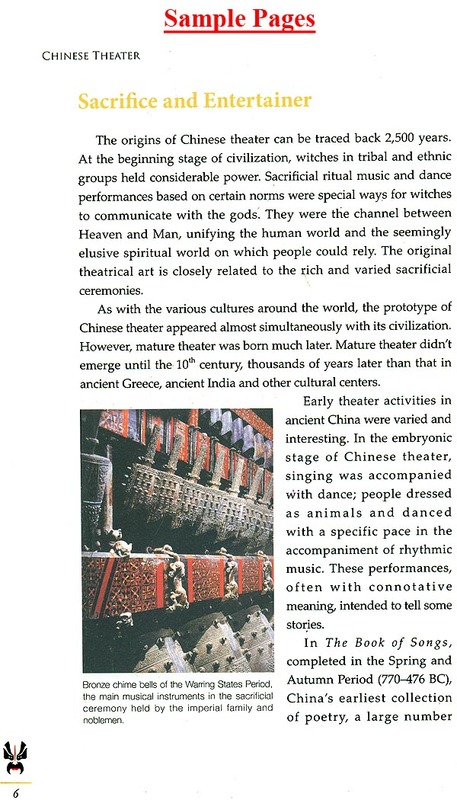 Based on aesthetic principle of traditional Chinese theatrical performances, the theater stage has a high degree of virtualization. In addition to a simple table, two chairs and a few essential props, the story takes place through a virtual performance, monologue and dialogue. 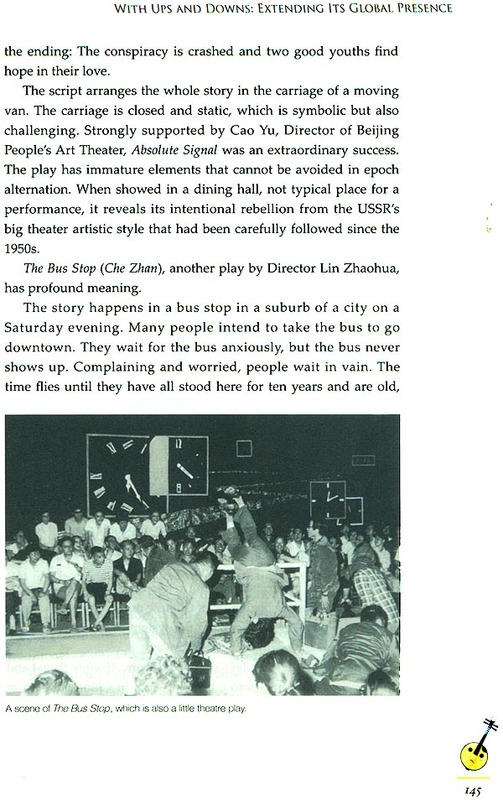 That’s why theatrical performances are flexible and can more and change freely. For example, actors sometimes move in a circle, which can represent travelling around mountains and waters. Chinese traditional opera has definite rules of dress. Historical figures’ theatrical clothing from the Ming Dynasty (1368-1644) has been transformed and beautified and is a general practice, used by almost every actor. Make-up is often intense in color. Some male characters in particular have a fixed mask, which is exaggerated and uniquely shaped and often has specific implication. A Red-faced mask means justice, a black signifies bluntness, while white symbolizes treachery.